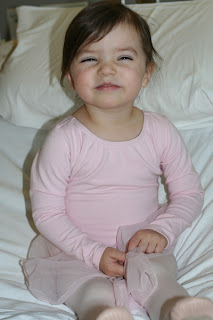 Every Saturday morning, Holland goes to ballet class. I am totally missing the opportunity to take her each week, but at least I get dress rehearsals and sneak previews before she leaves! What fantastic pictures! She's so sweet in pink!